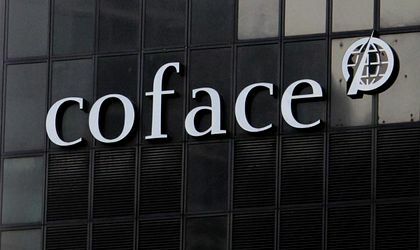 The international credit insurance company Coface has presented its tenth annual study on the biggest 500 companies in Central and Eastern Europe – the Coface CEE Top 500. It ranks the businesses by their turnover and additionally analyses further facts such as the number of employees, the framework of the companies, sectors and markets as well as the new Coface company credit assessments. The trend of the CEE Top 500 reflects developments in the region. According to the document, overall, 2017 was an excellent year for CEE countries and their largest companies. Growth was mainly driven by higher private consumption, a rebound in external demand for exports, thanks to the recovery of the Eurozone, and improving demand from Russia. 80% of all exports from this region go to the EU, with Russia remaining an important trading partner for some countries, such as those in the Baltic region. Coface upgraded the Country Risk Assessments of several countries in the region, namely Bulgaria, the Czech Republic, Estonia, Hungary, Latvia, Russia and Serbia, leaving only Croatia and Serbia with a fairly high risk of business default. “The economy in CEE is booming, the companies enjoyed a supportive macroeconomic environment in 2017, with the average GDP growth rate soaring to its highest level in the last eight years of 4.5%, after 3.1% in 2016 and 3.7% in 2015. As a result, the top 500 companies finished the year with an increase of turnover of 11.8% to EUR 652 billion and an increase in the employment rate of 4.7% to 2.4 million people,” explains Declan Daly, CEO Coface Central and Eastern Europe. Romania ranks fourth with only 56 companies listed in TOP 500 biggest companies in CEE, down by nine companies compared to 2016, at a significant distance from the occupants of the first two positions: Poland (175 companies) and Hungary (71 companies). 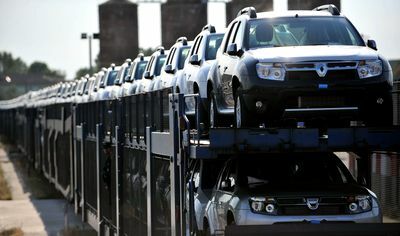 Automobile Dacia SA is the largest Romanian company present in Top 500 CEE companies, and it’s on 14th place. The next Romanian company is OMW Petrom, on 31th place. Five Romanian companies have entered this year for the first time in the Top 500 companies in the region. Star Assembly, the Daimler division operating a plant in Sebes county, Dante International, the eMag administrating company, debuted on 287, and the Cofco International Agriculture Company on 393. The following are Robert Bosch, in the automotive industry, and Enel Energie Muntenia. The main sectors in which most of the Romanian companies metioned in Coface Top 500 CEE operate are car and transport, mineral products, chemicals, petroleum, plastic and pharmaceuticals.